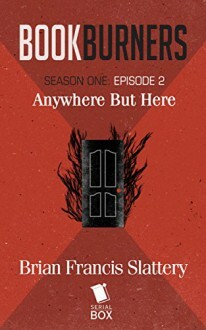 Episode 1 was an eerie bite-sized read filled with demonic books, magic, and possessions. Episode 2 just goes into a whole other universe of creepy weird. A demon reaching out through a book to possess your brother is horrific, and the aftermath brutal, but Sal Brooks is learning that's just the tip of the iceburg in her new line of work. Things might have gotten much worse if not for the disappearance of two little girls alerting the neighbors to something wrong. But still things had progressed to a point of no return and it's up to the Bookburners to perform triage. Entrancing and weird, a great continuation of the story. I still desperately want to LARP in this setting.